Visually depicting an apple tree is not difficult. My goal was to find a way to make the apple tree more representative of early childhood development. Doing logos for clients is so much easier when they choose a name for their company/product/service that is appropriate. 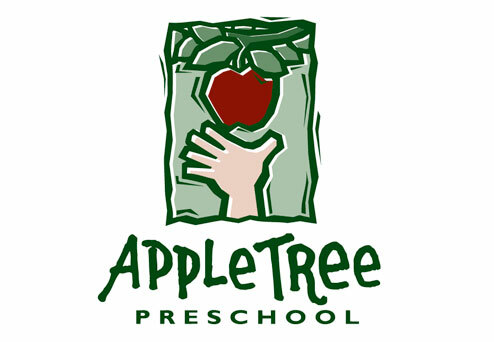 Admittedly, AppleTree Preschool isn’t an orchard and has nothing to do with harvesting apples, but playing up that symbolic connection between education and apples seemed like the path to take. Naturally, all my early sketches were exploring stylistic ways to depict the obvious. I always appreciate logos that tell a story and sell an idea, so the challenge became how to link this familiar symbolism in a way that shows early childhood development. The woodcut visual style reinforces the youthful focus in a more playful way. Showing a child’s hand reaching and striving to pick an apple, but coming up short, elicits a reaction from the viewer. The implied suggestion – that with a teacher’s help and direction the child’s goal can be realized – underscores the virtue of education.